The website of the Freer and Sackler Galleries has a fine little collection of podcasts for download of several different sorts of Asian traditional music, including a fine Palestinian ensemble performing traditional Arabic music that I’m listening to right now. They also have a collection of folk stories, and some curatorial commentary. Via Arts & Letters, a magnificent collection of photographs by Sergei Mikhailovich Prokudin-Gorskii of Tsarist Russia, rendered into colour. I particularly love the material from Central Asia, which Russia had gradually absorbed through the later half of the nineteenth century. 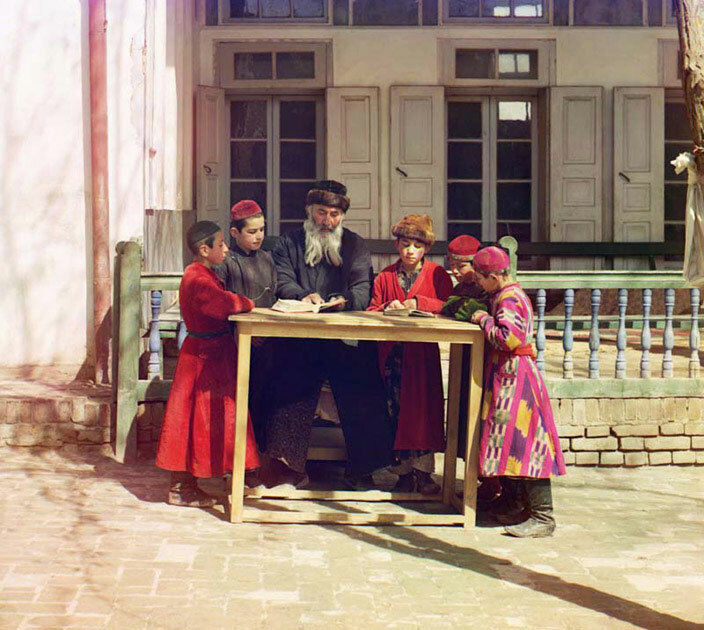 Below is a photo of Jewish children and their teacher in Samarkand.